To me, it meant having a stoic appearance whenever sh*t hit the fan, never letting colleagues or clients see me sweat and trying my best to be nice and respectful to everyone. In my mind, there was no place for tears or attitude when something went wrong or I felt I was treated badly or unfairly. Consequently, some people thought I was tough. I'm sure a handful of people thought I was a b*tch. In reality, the people who know me well know that I'm actually a sensitive person; I get affected by negativity and criticism. Even though I usually kept my walls up at work, there were moments where my vulnerability slipped out. I hate to admit it, but a few times I broke down and cried in front of a colleague when I felt professional disappointment and just couldn't hold back the emotions another second. But in each instance, the person on the receiving end of my tears was incredibly compassionate and saw a different side of me afterwards. Instead of assuming I was managing everything (because that was the image I projected), these individuals got a glimpse into my feelings and as a result, were more inclined to offer their help and support moving forward. That support was invaluable, especially in difficult situations. As I've launched my coaching business over the past 6 months, I've done a lot of thinking around the role of toughness and emotion and their place in an professional environment. I've seen how having a tough exterior can be limiting and unnatural for a lot of women. I have two clients right now who are both struggling with this. For both of these women, their work environments are a bit toxic and it has spawned some reactive feelings in each of them. When is it worth saying something? How do I stand up for myself effectively without sounding like I'm complaining or coming across as a jerk? Is it possible that I'm wrong and this is my fault? Is this really worth my emotional energy? Clearly, the answers aren't black and white. I know firsthand how challenging it can be to navigate these situations on your own. It's not easy to figure out the right amount of "toughness" to display at work while still being true to who you are. It's also not clear IF and WHEN you should let down your guard. They don't teach you that in business school. I'm committed to helping women tackle this issue and find their voice. If you're struggling with how you show up in the workplace, here are a few ways I can support you. You shouldn't have to be a smaller version of yourself or hide your feelings to fit into the corporate culture and be successful. 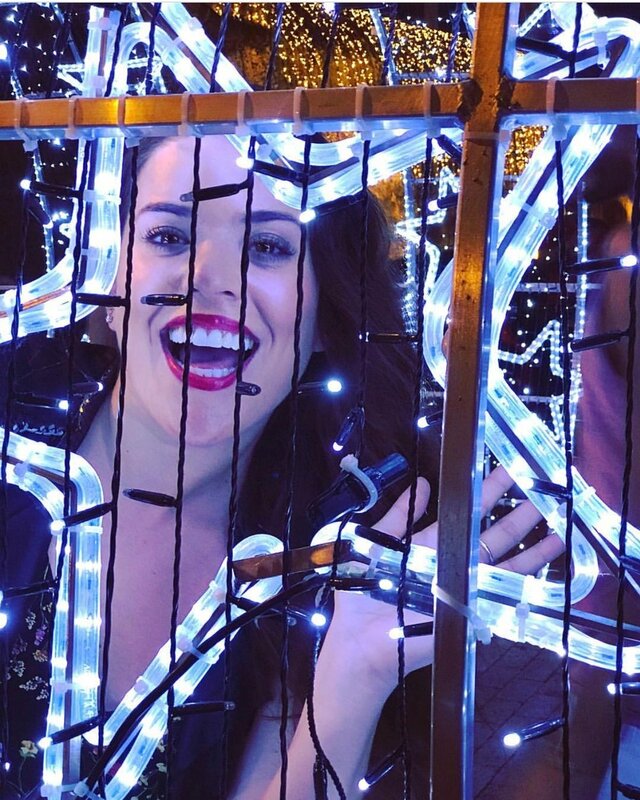 I want to see you SHINE! Today’s featured guest is Richard Jackson from Riverside Health System. Rick is the Executive Director of the Riverside Center for Excellence in Aging and Lifelong Health, which helps older adults and their families make informed decisions about their health and wellbeing. Over the past few weeks, I’ve had the privilege to speak with dozens of professional women (and a handful of enlightened men) about the unique challenges and experiences women face in the workplace. Much of what I heard echoed my own experiences working in Corporate America for 15 years, running my business for the last 2 years, and mentoring countless women and entrepreneurs. Most notably, there are a number of commonalities among successful women – the things they do to get ahead as well as what they intentionally DON'T do. The latter category includes the toxic behaviors, people and thoughts that can sabotage our momentum and ultimate success. How can you adopt the practices, habits and mindsets to unleash your inner boss and take command of your career? At some point, we’ve all been taught that if we work hard and do a good job, we’ll be rewarded. This belief is instilled in us from a young age. Maybe your parents rewarded you for getting good grades or your high SAT score helped get you into the school of your choice. Unfortunately, it doesn’t work that way in the professional world. You very rarely get noticed for hard work alone. Yes, there’s a place for hard work, drive and commitment to excellence, but it’s your relationships and ability to promote yourself that are far more critical to your success in moving up the corporate ladder and achieving recognition. Too often, women fall into this trap: We put in long hours at our desk trying to create the most perfect work product, but we miss out on the opportunity to really differentiate ourselves and stand out – by getting out there and showing people who we really are. People need to know you, not just your work. We all have qualities that fascinate other people. It’s your responsibility to promote yourself and show people what’s so great about you. The workplace is not the place to be humble or let others take credit for your accomplishments. This doesn’t mean that you need to dominate meetings or brag about your accomplishments. Rather, there are a number of strategic ways you can build your profile. Focus on the key relationships that are critical to your growth and success. Think about it like building a board – who are the people you can learn from and can facilitate your growth and success? Find sponsors and mentors who will help you gain greater visibility and open doors for you. Over time you will find that building genuine relationships with the right peers and influencers will make your job easier. You won’t have to work so hard because people already know what you bring to the table and they trust you. Yet we all do it at some point. But unless you’re extremely motivated by seeing someone more successful than you, comparing yourself to others is not likely to serve you at work. This is because we each have a unique set of personality traits and competencies that fascinate others. For me, my ambition, focus and confidence have often set me apart from my peers. If I compared myself to someone with a different mix of advantages, I would be frustrated and probably couldn’t replicate their results. Observe others you admire (i.e., watch, don’t judge) and think about what makes them successful. Consider your own strengths and weaknesses and how comfortable you are pushing those boundaries. This last part is key – while it’s great to push yourself out of your comfort zone, it needs to be authentic and realistic. Then it may not be realistic to think you are going to be an amazing public speaker without some significant time, practice and effort. It may look like that skill comes naturally to someone else, but it probably took them years to master. But all you see is the polished result. This is why comparison can be so dangerous. Not only do we lack insight into what it took that person to get there, but we may not even possess the innate natural talents that would facilitate our success in that area. So we could just be setting ourselves up for disappointment. Before you compare yourself to someone else, assess your own natural talents and non-talents. Consider whether they are well-aligned to your pursuits and if you’re committed to putting in the hard work and time to get there. By nature, many women are people pleasers. We want to make others happy and we want people to like us. We want to say yes to our boss’s last minute request to get that report in by Friday. We want to volunteer for that extra assignment because we will do a great job and it’s a way to get noticed. And we also want to mentor the three people who have reached out to us because they admire us and want to learn from us. Suddenly, we’ve agreed to a ton of extra tasks and we’re overcommitted. There’s absolutely a time and place in your career for saying yes as much as possible. For me, I did this early on in my career, when I was younger (and had boundless energy and fewer personal commitments) and hungry for as many new experiences as possible to help me develop my niche and natural talents. Beyond that, saying no becomes a critical way to set boundaries and protect your creativity and your sanity. If you’re any good at what you do, you will undoubtedly have people asking a lot of you. You aren’t obligated to say yes to everything. You also don’t need to apologize. Setting boundaries is part of being mature and also allows you to take time for self-care. Most things in life are negotiable. Even if you think they aren’t. There’s no reason you have to accept something just because that’s the way it’s always been or if you’re unhappy. It may not be easy, but the least effective thing you can do is just accept a mediocre situation. Powerful women play the long game. They think about their end goal and the small steps they need to take to get there. They understand the connections and relationships they need to build over time. They take up space both mentally and physically – they can’t be ignored. They don’t sit around feeling sorry for themselves or make excuses about why they are stuck in their current situation. They don’t let self-doubt cripple their ability to move forward. We feel bad missing work if we’re sick. We feel bad leaving early to pick up our kids. We feel bad asking for too much time off. We feel bad if we’re too exhausted to stay up all night working on a proposal. Women are often guilt-ridden, but the most successful professional women don’t let feelings of anguish or remorse hold them back. Personally, guilt has been the hardest feeling for me to overcome. But sometimes we have to in order to choose ourselves. The key is to own our choices and stand behind them. Be transparent and upfront about your boundaries. No one is perfect, but being clear about your choices means you don’t have to apologize or feel bad when you say no. We know that badass professional women set boundaries, negotiate for what they want and don’t feel guilty, but they also do this with finesse and grace. They don’t steamroll over people or act like a tough guy. And this can be a difficult balance for many women. Women have to walk a tightrope of being authentic to themselves and embracing their femininity and being assertive enough to command respect. The most successful women have figured out this balancing act. They speak up, are confident and can be forceful. But they have put in time building social capital with their colleagues by fostering genuine relationships. They are likeable and this increases their influence. I see plenty of successful women who never seem to sleep. Sleep has repeatedly been proven to improve your memory and focus, reduce stress and depression, help maintain your weight and increase your overall quality of life. Being well-rested helps us keep the composure we need to deal with all the challenging situations and BS we face at work. Eliminating these 7 behaviors from your day-to-day professional life will have a big impact. And the benefits from these behaviors often compound over time. 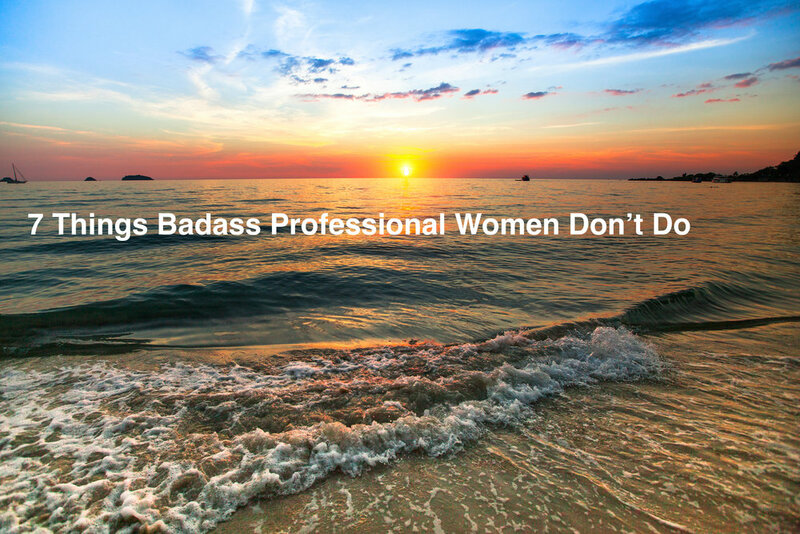 I encourage you to start today and embrace the badass professional woman you are. Today’s featured guest is Sharie Torres. Sharie is a registered nurse from Hawaii and has worked in a large healthcare system there for 20 years. She acts as a Utilization Manager and has witnessed firsthand how technology has helped one of the largest providers of the nation, improve their workflow and referral management processes. A lot of healthcare systems today are struggling with the transition to technological solutions. Moving from hundreds of paper processes to something quicker can be a huge and often tedious undertaking for a medical team. Today’s featured guest is Denise Rabidoux, President, and CEO of EHM Senior Solutions. EHM Senior Solutions is a not-for-profit organization with a history dating back to 1879. Formerly known as Evangelical Homes of Michigan, EHM operates senior living, Medi-Care at home and private duty life choices programs. We are in for a treat with today’s featured guest, Alex Go. Alex is the CEO and Co-founder of LivWell Health, a technology-enabled service provider that assists seniors to live independently at home and also for families seeking assistance in their care. Their goal is to make caregiving easier for the 44 million Americans that are caring for older adults and special needs children. LivWell Health partners with senior service providers to expand the markets they serve with the goals of enhancing revenue and improving staff productivity. With an aging population that prefers to live independently in the setting of their choice (often their home), the demand for home and community-based service delivery is growing. LivWell Health is designed to meet this need for patients and their families, care coordinators, social workers and senior living providers. Care coordinators and social workers have chosen LivWell Health's workflow-optimized, referral management solutions to easily manage community resources, create a patient-centric "personalized service plan" and streamline patient hand-offs to their preferred network partners. Senior living providers enjoy LivWell Health's interactive digital signage systems and tablets to register for social activities, submit service requests, review dining options or just keep up with community news. This offers one information system to power all of the providers' signage, in-campus TV channel and resident portal solutions. This four-part podcast series dives deeper into the role that LivWell Health and technology in general increasingly play in home and community-based services and care transitions. The following episodes explore LivWell Health founder Alex Go's personal journey as a caregiver and how it inspired him to create LivWell Health, as well as examples of how several communities and care coordinators have incorporated LivWell Health into their programs with great success. When Your Career Stagnates and Your Opportunities Seem Limited…. It can be demoralizing, anxiety-producing and downright depressing. Believe me, I know. In my 20s and even still today as I approach 40, I frequently experience age and gender discrimination. I look young and enjoy fashion (a stint at Saks in grad school left me with an affliction for designer handbags and shoes). And sometimes people equate that with a lack of experience, intelligence and business sense. It seems like more often than not, people are surprised by my expertise, professional accomplishments and network. However, those who know me are not. At work, I’m assertive, knowledgeable and confident. Early in my career, I was quiet, shy and afraid to speak up and share my ideas because I was afraid to sound stupid or be wrong. You ever felt that way? There were a number of factors that changed my behavior over time but probably the biggest influence was a boss I had named Jacqui. Jacqui was smart, assertive and didn’t fit the mold of a typical corporate woman – she played in a man’s world, but was true to who she was and was also someone I genuinely enjoyed hanging out with. It was from working with and receiving feedback from Jacqui that led me to break out of my shell. But if you don’t have a “Jacqui” in your life, what can you do to establish your brand and stand out so you can get the promotion, raise and respect you deserve at work? Take the time to understand what you’re good at. You can do this by taking assessments, self-reflecting and asking others to give you feedback. Equally important, understand your ‘non-talents’. Then, rather than try to improve on your ‘non-talents’, become more of who you already are by building on your natural talents. Like it or not, we live in a visual, superficial society. You don’t need to be a model or spend a fortune to look polished and stylish but it does require a little effort. Figure out what styles make you feel the most comfortable and confident and stick with those. Sticking to certain silhouettes and colors can make getting dressed fast and simple. Develop an easy-to-maintain hair and makeup routine. You may need to get advice on these things – ask your stylish friends, your hairdresser and the makeup artist at Sephora for tips. It’s not silly and superficial…it’s part of how you present yourself and your brand. Successful women take care of themselves. They exercise, eat healthy and are cognizant of their mental health. Take the time to figure out how you can incorporate regular exercise and a healthy diet into your life. Stay away from toxic people who sap your energy. Do things outside of work that make you feel good and rejuvenate you. Once you recognize your natural talents and develop your personal style, OWN IT. Don’t sit quietly in your team meeting waiting to be called on. Stand tall and confidently share your insights. If the thought of this is too scary, start by having 1:1 conversations with peers you trust. You can bounce your ideas off them first and build up the confidence to share them in a larger group or with your boss. Everyone is busy and most likely, your boss isn’t spending much time thinking about how to get you everything you want professionally. YOU are in charge of your path, even if you work for someone else. Take the time to figure out where you want to be in 6 months, 1 year and 5 years and let people know. Even if they don't think you’re ready, ask them why and how you can get there. Then take this feedback and think about whether you can act on it or if you are better off looking outside of your current job for the type of opportunity you are looking for. I realize these steps may not be easy for everyone. But taken in small chunks over a period of time, they are doable and can help you take your career to the next level, even if you’re feeling stuck, underpaid and unappreciated. If you want to learn more about how you can make a few simple, but transformational, shifts to get the promotion, raise and respect you deserve in your career, click below to schedule a free 1:1 consult with me. Today’s featured guest is Tristan White. Tristan is the CEO and founder of The Physio Co, which helps Australian seniors stay mobile, safe, and happy. Onsite physiotherapy is their thing. In 2004, The Physio Co was just one person with a vision to change seniors' healthcare forever. Today, The Physio Co is ranked as Australia’s best place to work, has 100 team members and delivers over 200,000 physiotherapy consultations per year. Tristan is a qualified physiotherapist from the University of Melbourne. He has an MBA from Queensland University of Technology and a Masters degree from MIT for their Entrepreneurial Masters Program. Tristan also loves helping other people build strong cultures and be happier at work. He writes a blog called Culture is Everything, which Smart Company lists as one of Australia’s 25 Best Business Blogs and he is also a speaker. In today’s episode we hear all about Tristan’s work with The Physio Co as well as the systems he uses to create successful cultures in his organization and in others. I am so excited to introduce today’s featured guest, Courtney Kingston. Courtney is the founder of Kingston Family Vineyards in Casablanca Valley, Chile. She’s a graduate of Princeton University and she started her career as a consultant for Deloitte’s wine industry practice. There she began learning the ins and outs of the California wine business, and later as a student at the Stanford Graduate School of Business, she wrote the vineyard’s original business plan using the Chilean cattle ranch that her family had owned and operated since 1922. After many discussions about the feasibility of converting the family farm into a vineyard, Kingston Family Vineyards became a reality in 1998. Courtney and her husband, Andy, have three daughters and share their time between Portola Valley, California and Chile’s Casablanca Valley. Today Courtney shares the story how how it all began, as well as the ins and outs of what it’s really like to start and run your own vineyard. The three things to know about Kingston Family Vineyards. The turning point that convinced Courtney to leave her full-time job. How Courtney grew her business, starting out with her office in a closet. Why using a direct-to-consumer business model was key for the Kingston Family Vineyards. The inflection point in Courtney’s life, and what she learned from the experience. Self-care tips to give you energy and help you to listen through the noise in life. Why you can't allow fear to prevent you from pursing your dream. Today on the show we welcome Stephanie Goetsch. Stephanie is the founder of Spark Career Strategy, which she launched in 2010. What began as a dedicated career coaching for "what’s next" professionals, blossomed into organizational development and human resources consulting, career and performance coaching, and group training offerings. As the name suggests, Stephanie delivers both spark and strategy to each company and client that she works with. She’s a lover of change, whether it’s changing minds with learning, changing careers with career coaching, changing business with innovation and design, or changing behaviors with performance coaching. Prior to launching her own business, she held a number of human resource positions in different organizations, including US Pharmacopeia and Chevy Chase Bank. She’s also a passionate supporter of the US Military and in 2016 she founded Call to Action, which is a non-profit organization that delivers exceptional career transition strategies to US veterans and military spouses to successfully leverage their unique talents for civilian careers. Key trends in career transitions and what types of opportunities the future workforce is looking for. Why it's important to buy into the idea of change, even though it might be painful. How to transform your business away from the “all-consuming” model and towards balance. Why Stephanie founded Call to Action and how it supports the community. How to grow your business by bootstrapping your way to the top. The importance of knowing your limits and surrounding yourself with a great team. The best way to transition from providing free services to having actual, paying clients. How to adopt the mindset of being comfortable promoting yourself. Why it's crucial to operate in your own “wheelhouse” and build on those skills. Today’s featured guest is John Lee. John is the co-founder of Capital Kombucha, which is Washington D.C.’s first kombucha brewery. He founded the company with two classmates from GW’s business school in 2012. Prior to business school, John worked as a structural engineer, which was a far cry from the world of healthy beverages. John and his co-founders identified a market in D.C. for the fermented sweetened tea drink that’s believed to support a healthy gut and strong immune system. Unlike the West Coast, which is saturated with these types of health and wellness beverages, D.C. was pretty low on kombucha offerings, yet had a very active, health-conscious population. So Capital Kombucha was born and they began selling their drinks at local markets before expanding to larger retail outlets, like Whole Foods and Safeway. Today they distribute to hundreds of locations from Virginia to New York, all along the mid-Atlantic. The three things everyone should know about kombucha and building a business in the beverage industry. The costs and challenges faced when you have a product that is not shelf-stable. How to be competitive in the beverage industry and have your product stand out. Implementing a just-in-time inventory system when you do not yet have baseline data. Future trends in the beverage industry and how to leverage partnerships. How to avoid burnout by taking a step back from your business to get a new perspective. Today's featured guest is Tony Teegarden. Tony is an online marketing and lifestyle coach who works with coaches and experts, including me, to turn their expertise into high-ticket, online group coaching programs so they can leverage their time and enjoy life without being consumed by their business. His clients have generated millions in revenue over just a few short years, in dozens of niches. Tony has more than 20 years of sales experience, and his whole sales philosophy is based on serving your ideal prospect and providing value. He has a 100% happy client and result rate, in part because he only works with people who are open to the type of transformation that his program requires. I have benefited so much in the last few months from working with Tony so I knew I had to share his amazing expertise and my experience with all of you. Three things to know about turning your expertise into a high-ticket coaching program. Tony’s philosophy on encouraging others to sell big-ticket items. Why people are more likely to invest highly when they are trying to eliminate pain. The future trends for big-ticket programs in the coaching industry. The level of expertise and hard work required to make a successful transformation. How paying attention and listening well are the best ways to serve your ideal client. Using the technique of a quiet launch to test and validate your product in the market. I am so fired up to introduce today’s featured guest, Carrie Rich. Carrie is the CEO and Co-founder of The Global Good Fund, which is built by and for social entrepreneurs. It was created in 2012 when Carrie was just 26 years old, based on the belief that growing leaders is the best strategy for solving complex social problems and achieving global good. The Global Good Fund leverages this vision by accelerating the development of high-potential young leaders through financial investment and by harnessing executive insights via a customized leadership development program. In 2017, over 24,000 high potential entrepreneurs from more than 100 countries applied for one of 12 fellowship positions with the Fund. Carrie wears a number of other hats as well, including published author and mentor-in-residence at GW University. She's also part of the faculty at GW and the Amani Institute in Kenya and a board member at several other organizations. Carrie's also won a number of honors, including the 2016 Ernst and Young Entrepreneur of the Year Award, the POLITICO Women Who Rule Award, the Washington Business Journal 40 Under 40, Entrepreneur.com Top 30 Startups to Watch, the Asian Social Innovation CEO of the Year, and others. The story of how the Global Good Fund came to be is truly amazing. The three things everyone should know about the Global Good Fund. How the Global Good Fund came to be from $100 of lunch money. How to establish an authentic mentor relationship. The future of social entrepreneurship and the expanding international diversity. Three tactics Carrie and the Global Good Fund team used to grow the business. Accepting failure as a part of growing and learning in business. Creating a supportive culture with a focus on both work and family. Today on the show I am pleased to introduced Michael Sacca. Michael was President of Crew, which has sourced freelancers for over $30 million in design and development projects. Crew was just acquired by Dribbble, which is a community of creative designers who share small screenshots that show their work, process, and current projects. Michael led the negotiations for the acquisition of Crew and became the Head of Sales and Marketing at Dribbble. He's also the host of Rocketship.fm, a business podcast that's focused on inspiring entrepreneurs. Michael started his career by moving to LA and pursuing music. After three years of waiting tables and little success, he decided to teach himself to code and he used his coding skills to launch Tiny Factory, which is a web development agency that won clients like GE and Kobe Bryant. While running Tiny Factory, he started the Rocketship Podcast and built many other apps and products, some of which of have been acquired. The three things to know about the current marketplace for creative designers. How low-cost design services are impacting the design industry for creative freelancers. How Crew serves designers by managing their businesses. The latest trends in the design industry and the movement towards UX and product design. How to grow your business through content, tool marketing, direct sales and SEO. The commitment and tactics required to build an audience through content marketing. Knowing when to walk away from something that you are no longer passionate about. How to structure and develop side projects that support your current business. Developing the right mindset to accept failure and move on quickly. Today I am excited to introduce today’s featured guest, Daniel Gefen. Daniel is the host of the Can I Pick Your Brain podcast, as well as the founder of Jet Virtual, a telephone answering service and virtual office business with locations all over the world. He is also the cofounder of Get Featured, which helps small brands go from obscurity to celebrity. Although he’s built a successful career, Daniel has certainly had his ups and downs, which we will get into today. At the age of 23, Daniel had a six-figure salary...right before he went broke and was evicted onto the streets of California with his wife and son. They returned to London where he took a job as a cashier for about a year before he couldn’t take it anymore and just had to get back to being an entrepreneur. Daniel started Jet Virtual and through persistence and a lot of cold calling, he grew the business. All was going well until one of his key team members abruptly quit and his landlord sold the building and he was told he needed to vacate the space. After those two blows, he wasn’t sure that he was going to be able to run the business, but then he got the idea to outsource his business to one of his competitors, and this allowed him to scale faster and eliminate his staff and equipment, thereby freeing him up to work from anywhere. Using this approach, he spent a year working out of a hotel lobby before he semi-retired on passive earnings at age 31. How Jet Virtual works, and how it's possible to find success by outsourcing your business. Why creating a sense of urgency is crucial for reaching your goals. The value of outsourcing the “grunt work” to free up time to build your business. How to structure your business model to still be profitable while outsourcing. Important characteristics to have in a business partnership. Why Daniel’s biggest piece of parting advice is to constantly produce content. Today’s featured guest is Josh Linkner. Josh has spent his career harnessing the power of creative disruption. His journey has been non-traditional at every step. As the founder and CEO of five tech companies, Josh built his businesses from a blank page into a combined value of over $200 million. As a hyper-growth CEO of over 20 years, he’s used innovative approaches to topple competitors, fight through adversity, and achieve at the highest levels. In addition to his own startups, Josh has been involved with the launch, growth or financing of over 100 other companies. He’e helped raise over $150 million of venture capital and has mentored leaders and entrepreneurs through the struggles of explosive growth. He is the founding partner of Detroit Venture Partners, which invests in tech startups as a platform to help rebuild his beloved hometown of Detroit, Michigan. He’s also the founder and CEO of ePrize where Josh built the largest digital promotion agency in the world, serving 74 of the top 100 brands. Working with many of the most progressive CMO’s in the world, he’s a pioneer in digital marketing, winning dozens of awards for groundbreaking innovation at the intersection of technology and advertising. Josh is also an internationally recognized thought leader and a top-rated keynote speaker on innovation, creativity, reinvention, and hyper-growth leadership. His keynotes are focused not only on inspiring audiences but also sharing actionable strategies to drive meaningful outcomes. He is also a two-time New York Times best-selling author of three books, he’s a weekly contributor to Inc. Magazine, Forbes, and the Detroit Free Press, and a professional jazz guitarist. He has twice been named the Ernst and Young Entrepreneur of the Year, and is a President Obama Champion of Change Award recipient. The three things to know about creative disruption and how to implement it in our lives. How to unlock your creative capacity by simply recognizing that it is a learned skill. How you can overcome the stagnation of brainstorming with "role-storming". Why Josh looks at hacking as a tool that can also be used for good. The mindset of compasses over maps to empower ourselves to carve the best route. How to put yourself out of business by constantly being in a state of reinvention. Josh’s parting piece of wisdom to focus on creating your own art and possibilities in the world.